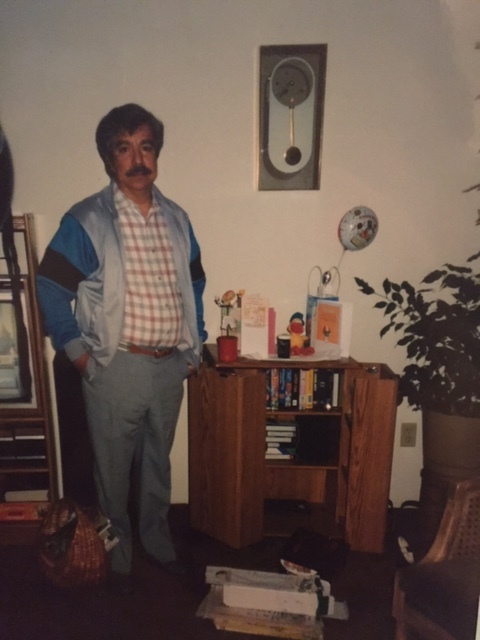 This past weekend was Father’s Day, my first without my dad. As I viewed the many posts on Facebook of Father’s Day adventures, lunches, BBQ’s and gifts my mind traveled back to the many Father’s Days with my own dad. Most likely he would have spent much of the early summer day out in the yard mowing the lawn or digging up my mom’s flowerbeds. He would have shared some conversation and laughs with our neighbor and his best bud, Richard, clad in his white tank-top and jean shorts, high white socks and his beat up sneakers. My older siblings would have come home for the evening to share one of his favorite home-cooked meals while idly chatting at the dining room table about this and that. Earlier that day I would have helped make the cake we silently devoured for dessert (and that night he would have let me sneak another piece without my mom’s knowledge). Immediately after dessert he would have moved to his favorite place in the house, his recliner. Here is where he would have opened cards, mine would have either been personally selected at the local Woolworths or possibly handmade with a portrait of my dad and an overabundance of hearts. The gift from me was most likely a mesh baseball cap or an oversized coffee mug with “World’s Greatest Dad” bedazzled across the front in bright, bold letters. I can still see him smiling and even feel his wet kiss on my cheek as he thanked me for his goodies. We may have even sat around the living room together to hunker down for a movie, his choosing of course because the TV was always his domain. Within 30 minutes the loud raucous of his snoring would cue us to be able to change the channel to our liking although as soon as we did he would magically wake up and tell us to change it back. Sadness that he is gone and despite the mere simplicity of a phone call, it was one that I looked forward to making just to hear his voice. Guilt that maybe I didn’t call enough, write enough or visit enough. Appreciation for who he was and who he helped shape me to be. I began to wonder how I could possibly acknowledge my dad in a way that would make him smile and, if he were here, plant a sloppy kiss on my cheek like he did when I was a girl. 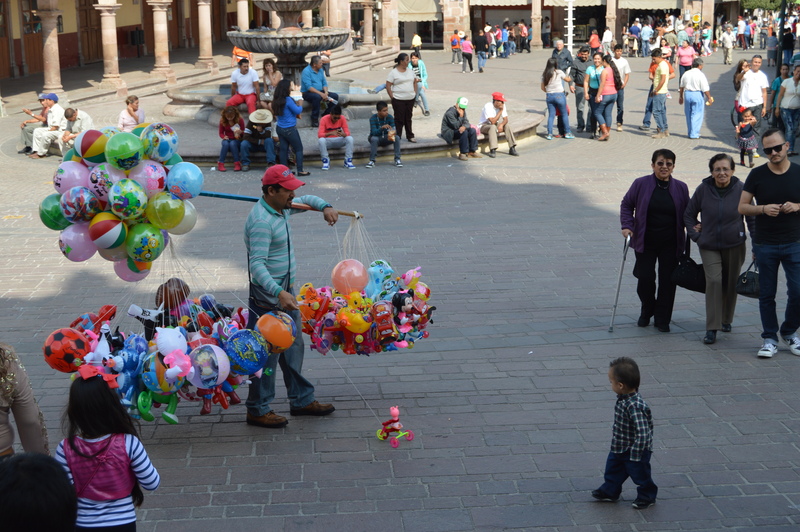 Every time I look back and picture him in my mind he is always in the same place; in his hometown of La Piedad. This is where all of my memories of the past 25 years are so it seems apropos to share this piece of him. I know he would like that. 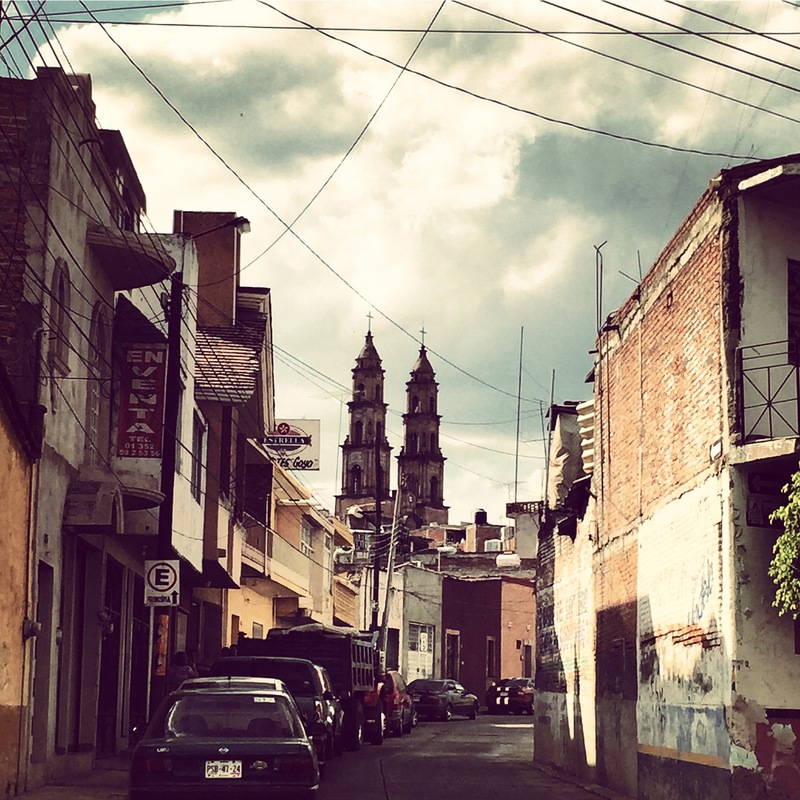 This small town in the state Michoacán means nothing to most people, just a tiny pin on the map of the world. Nothing distinguishes it from the other small Mexican towns, yet for me, this town is where my father took his first breath of life and it is where I whispered my final goodbyes as he was laid to eternal rest with his parents and his brothers and sisters gone before him. 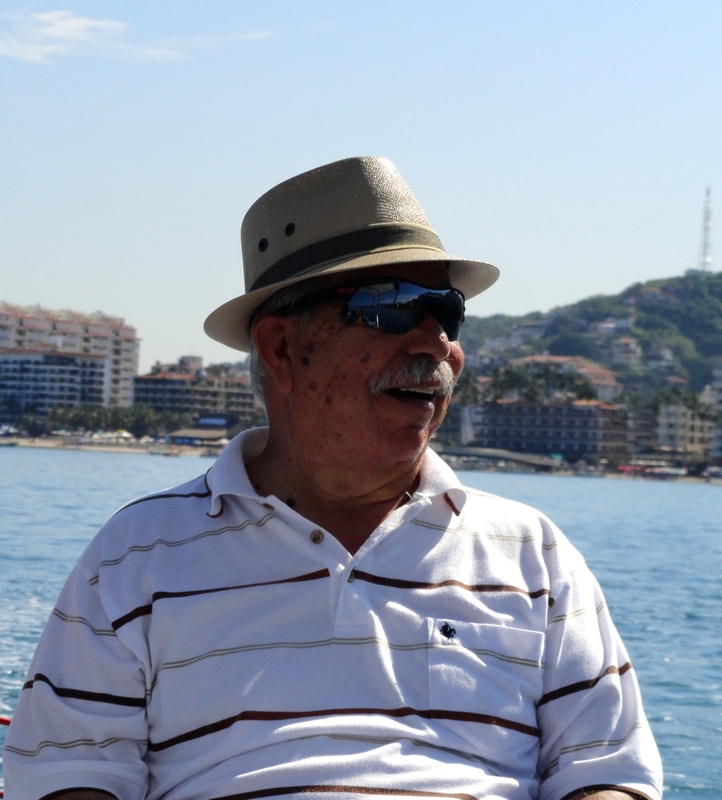 It is where he chose to spend the rest of his living years, far from his own children and it is where, as a young girl of just fifteen, I traveled on my own for the first time to try to piece together the mystery that was and still is my father. It wasn’t until this most recent visit that it started to become clear. For the first time in over 20 years of visiting, I saw La Piedad for what it was; my father’s home. El Rancho-has been in the family for years and is where most of the family fiestas take place. It also happens to be right next door to my dad’s house. I can recall my first visit as if it were last week. It was frightening! The dusty roads void of any street signs leading lines of cars and trucks every which way, each seeming to hold more passengers than the one before it while blaring both their horns and the brassy instruments of mariachi music. The uneven sidewalks meandering this way and that way sometimes abruptly disappearing and other times leading absolutely nowhere. The outer walls of the countless shops and homes riddled with graffiti of all kinds and colors. Dogs of all shapes and sizes wandering the streets and sidewalks paying no attention to the people they share them with, plopping down to rest wherever they feel the urge. People everywhere; walking to and fro, resting here and there and always, always talking amongst themselves. 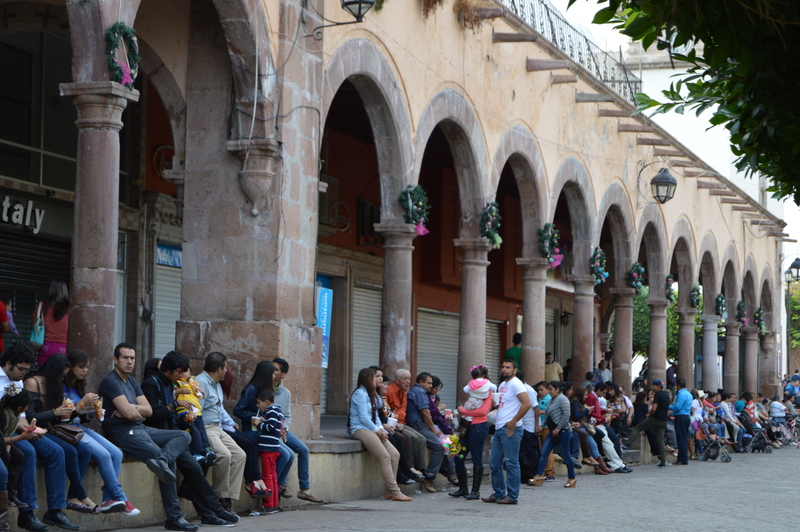 Families, immediate and extended, sharing meals together, resting in the plaza, shopping, talking, and always interacting. Friends gather laughing, drinking, hanging out on doorsteps or plastic chairs in front of their homes. Doors open signaling a message that all are welcome…one grand fiesta where all are invited. The Plaza where many gather at all times of the day. Almost all towns have a central plaza where the main church is located. Here it is Señor de la Piedad. I remember taking this all in and wondering, “What on earth does he like about this place?” The modern conveniences I was so used to were nowhere to be seen. Where were the drive-thrus? The coffee shops? THE MALL?? Countless times I found myself hiding behind the shelter of my dad, tuning out the chatter I couldn’t understand and longing for the familiarity of home. 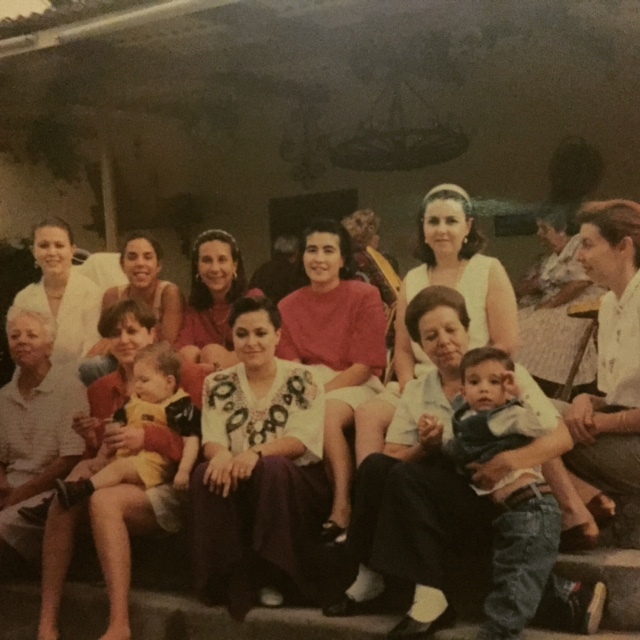 I put in little effort to establish relationships with my tios, tias and countless primos because I was too apprehensive of the language barrier. If only I could go back and give my younger self some advice; tell her to open her eyes and not just look, but to actually see. However, this last visit was different. I did not have my dad to hide behind and instead my eyes were open. I listened to the chatter and instead of a language I couldn’t understand I heard family comforting one another, laughing with each other, embracing, accepting and loving. This time I actually saw it because I was a part of it. I found myself spiraling through my rolodex of memories to replay them, but this new knowledge made everything change. All of the fiestas at El Rancho where family would come together from near and far, the women putting the finishing touches on the homemade tamales, tacos and pozole while the men’s chatter became louder with each shot of tequila. Soon all the kids and most of the adults became engaged in a family fútbol or volleyball game. As I look back, the awkwardness is gone and in its place is an understanding. I see my dad amongst his family surrounded by his “familiar”. He is happy. These people, all of them, are the people that understood why this was his home. They are his roots and his branches and they knew him more than I ever could. 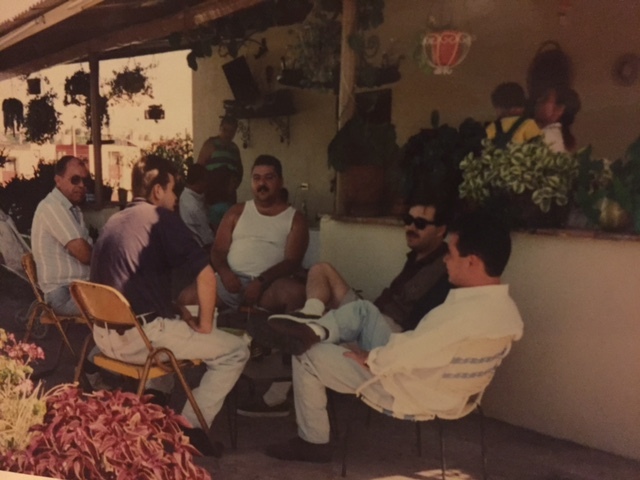 Circa 1992-my first fiesta at el rancho. Just a few of the women in our family. …and the men. Tequila not pictured. I made a recent promise, to myself and to the part of my dad that I know still watches over me, that I will stay connected to his hometown and maybe, someday, it can become almost as familiar to me as it was for him. That I will continue to walk the streets of La Piedad and see it’s true inner beauty. That regardless of language I will listen to the chatter of my family and interact to understand them and the man they knew as their uncle, cousin and friend. For it is through them that I will hear his voice and his laughter the loudest and where I will continue to see him in the eyes and smiles of mi familia.